Where can you stream black-ish? On 2014-09-24 Comedy TV Series black-ish first aired on ABC. 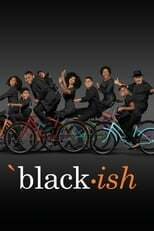 Written and created by Kenya Barris, and produced by ABC Studios & Cinema Gypsy Productions, black-ish will return and was last broadcasted on 2019-04-16.